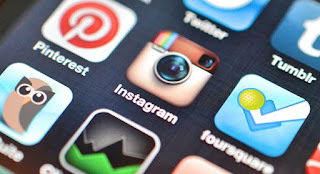 Instagram this week launch a new feature that tells you about last online or last seen of your friends. 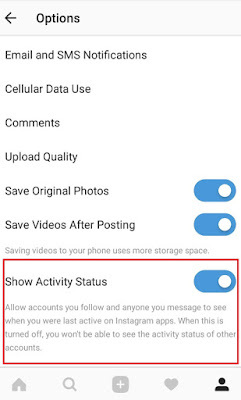 if you wanna see the activity then just open the Instagram app, tap on the Direct button at the top right of the screen and you can see last seen of everyone when that you have messaged.but this is accessible only people who you follow and those people’s that you’ve message them in the past will be able to see your last activity status.It means without your permission or prior knowledge, all of your connections on Instagram can track your last seen activity.This feature is turned on by default,but good news is that you can toggle this feature off too in your instagram.The only disadvantage is that you won’t be able to see last activity status of your instagram friends when you toggle this featur turned off. all you have to do is simply tap on your profile tab, tap the gear icon next to your Edit Profile section, scroll down Settings menu and toggle the switch off next to Show Activity Status. NEXT POST Next post: Ex-Bigg Boss Contestant Elli Avram is Dating Hardik Pandya ?